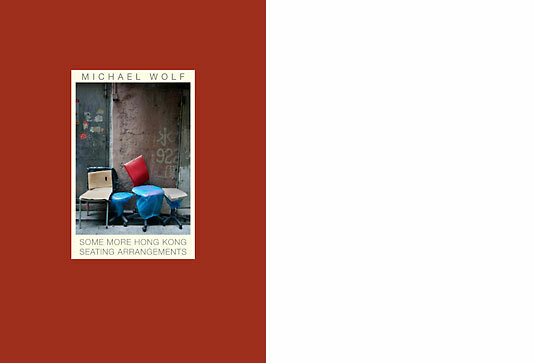 At the latest with this fifth volume it is clear that this series of books develops to Michael Wolf´s Hong Kong Back Alley Encyclopedia. 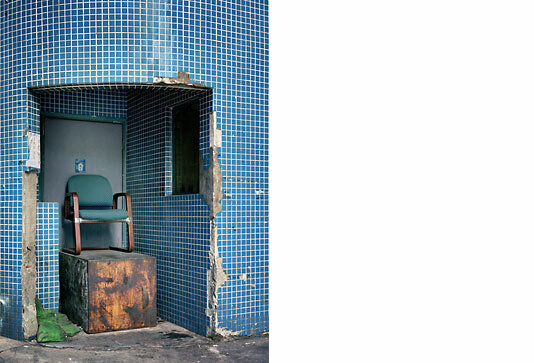 For 20 years now the photographer has lived in Hong Kong, some of his most significant works as ›Architecture of Density‹ and ›100 x 100‹ have been created here. 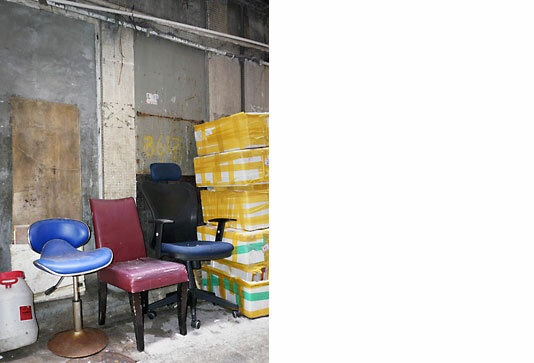 But he also kept searching for surprising discoveries in the dense bustle of the back alleys and narrow side streets that are so typical of Hong Kong. 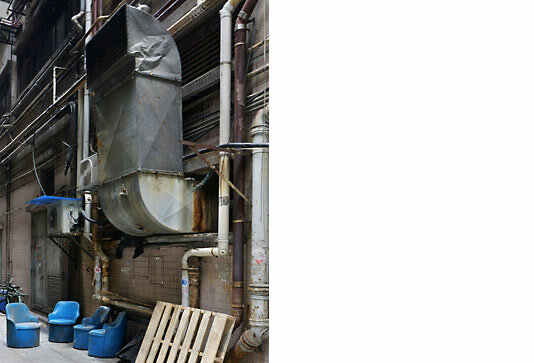 Up to now, as like so many places everywhere they are meant to be cleaned up. 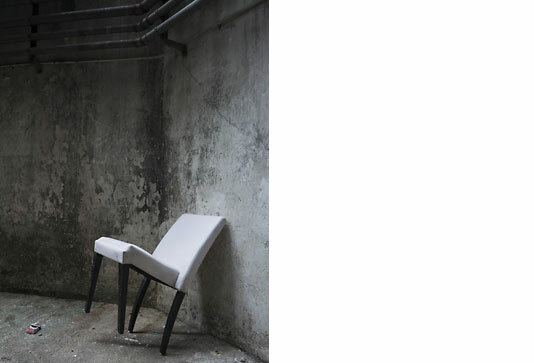 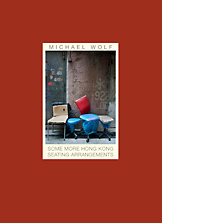 Following the publication of HONG KONG INFORMAL SEATING ARRANGEMENTS Michael Wolf kept photographing all kinds of seats in Hong Kong, so many and so well that we decided to publish a second volume with only new images. 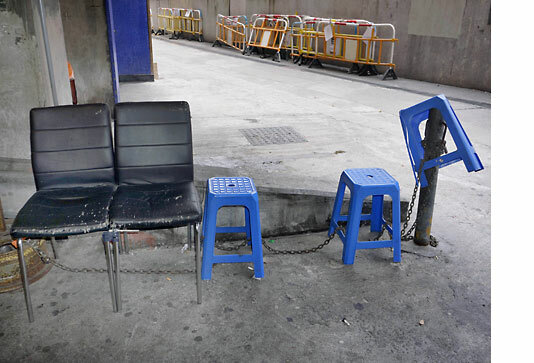 Street chairs. 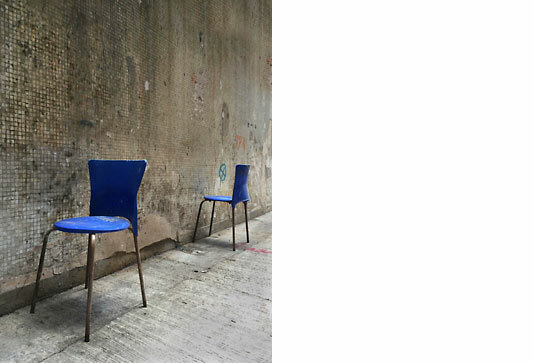 Old and new, whole, broken, rebuilt and repaired. 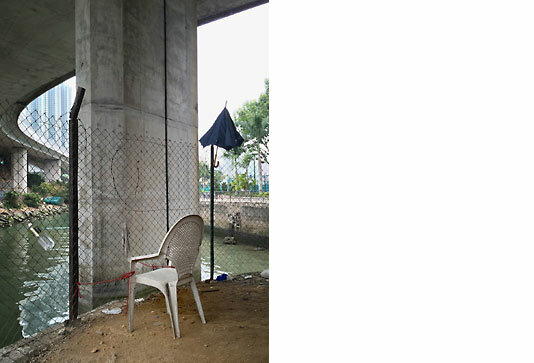 Together with alienated crates, cartons, wooden blocks and jerry cans they form peculiar roadside seating ensembles for the short relaxation or a little chat in between. 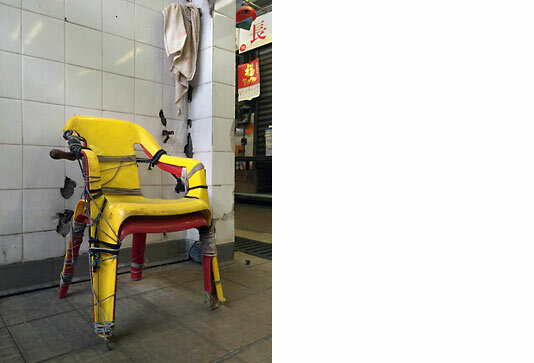 A great book with great pictures, which like the previous volumes celebrates the ingenuity and improvisational skills of Hong Kong´s inhabitants.